Updated xEdit Script by removing the version check. This should fix the issues with the dev version. 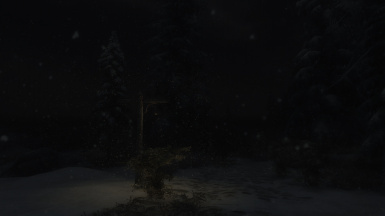 Greatly Enhanced the Physical snow emitter Particle systems. 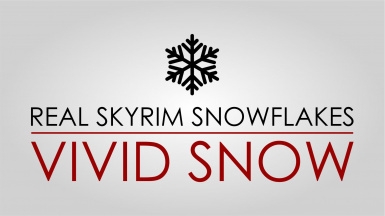 Now snow should be more diverse and more dense. Afterall it depends how mouch spare resources your CPU and the Script engine has. 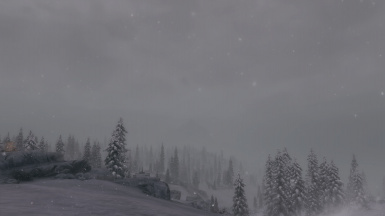 Physical snow will be rendered in a certain Radius around the Player and normal Non physical snow is being used for distant snow. 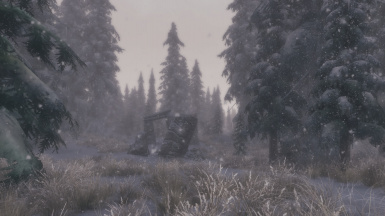 Physical snow will react on all inworld objects and collides with them. This resoults in creating a shelter effect as soon you are standing below a object. Physical snow though is EXPERIMENTAL. 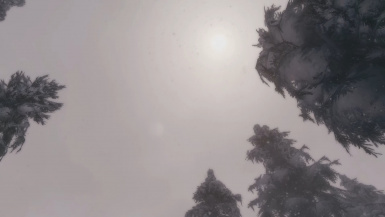 It will render alot of Snow emitters and the quality of the effect strongly depends on your Rig and the ammount of heavy scripted mods you already run with. As more laggy your scripts are as less script time there is to place snow emitters and as less dense the physical snow will be. At the moment i do recommend it for screenshots and short term plays becasue longterm Tests are still missing. Please have a look at the Bugs section for things that can occour. - Enhanced gravity effect for non physical snow. This enhances direction changes to simulate wind. 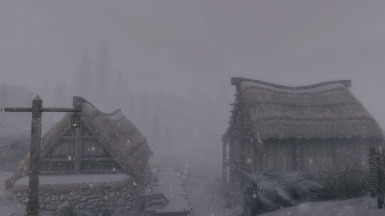 - updated the skyrim map weather fix to recognise weather transitions. - merged the map weather fix with the plugins,thus a ownstanding plugin is not required anymore and should be considered as Obsolete. - Install script update to work together with the physical snows. Rewrote the install tes5edit script from scratch. It now does not require mtefunctions.pas and should be more detailed about any errors connected with the load order. -Finalized the mapweather fix. Thanks to Kesta for the help! 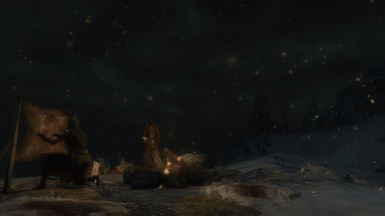 Now the weathers wont move along with your fast traveling anymore and also map weathers won't leak into skyrim when scripts are laggy. I considder it save to use now! -Hishutup Updated the installer script to version 1.3 : added script termination. added a .seq file for properly starting the mapweather fix quest. 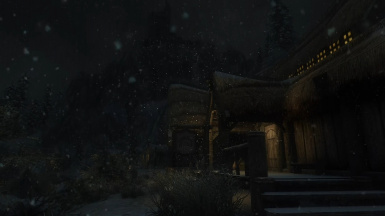 - Added new Blizzard weathers (only real noticeable when using Expanded Snowsystems, COT also includes 2 Blizzard weathers by default) and intensified current snow effects. - Added a mooving gravity source to the default medium and Strong snow so the snow changes the direction to make it look like wind changes. 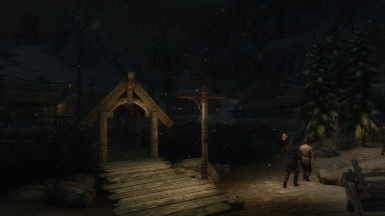 - Added snow blow effects to Blizzard Med and Strong weathers. add missing line to the installer that rendered the Mapfix Script useless. Author changed to 'Mangaclub - Hishutup - Kesta'.